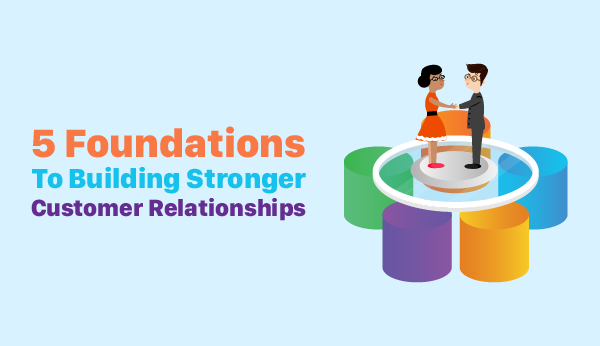 One of the most important aspects of running your own business, especially if you are providing a service for people, rather than an actual product, is managing and maintaining a good relationship with your customers. Naturally, people are going to opt to spend their money with a business that was able to provide them with a good customer experience. Even the numbers indicate the same thing, since businesses have a 60 to 70% chance of selling to their existing customersas opposed to a 5 to 20% chance of getting to one of their new prospects to do the same. Regardless of how good your relationship with your customers is, there is always room for improvement. The best way to do it would be to use specialized CRM software for nurturing your customer relations, such as Daylite, which is especially useful for small, service-based businesses, while following the best CRM practices. In order to find out which practices we are talking about, keep on reading for more details. This is absolutely crucial if you are providing a service for your customers. Sure, it’s important if you are selling a product as well, but when you provide a service, things get a little bit more personal, and leaving a good impression along with a positive experience could be what separates you from your competitors which are offering a similar service. According to research, by 2020, customer experience will become the main thing that separates your brand, and it will even overtake the price and the product itself in that aspect. When communicating with your customers, it is really important to reach out to them via those channels which they have used to follow or subscribe to your service. For instance, if your customers have found you on social media, they would respond better if you were to contact them via your Facebook, Twitter, or Instagram, as opposed to sending them a text or calling them. According to Dean Preston, who is in charge of customer relationship management at EssayOnTime, customers prefer making their purchases with brands and businesses which take the time to acknowledge their followers and which respond to their feedback. An even better way to develop your customer relations would be to ask continuously for customer feedback, and to even use it to improve an existing product or service, or ultimately come up with a better one. How should you ask for feedback? Like we have pointed out earlier, there are numerous channels through which you can reach your target audience, and since 71% of them never turn off their mobile devices, getting them to leave feedback shouldn’t be too difficult. Receiving a complaint about your product or service may seem like the worst thing that could happen to your business, since it can tarnish your reputation in no time, considering the speed at which word of mouth, especially it’s negative, spreads on social media. By addressing customer complaints, you cannot only prevent this, but you can also turn a previously negative customer experience into a positive one. To make sure that each complaint is handled in the best way possible, the way you and your staff handle disputes should be a part of your internal policy. You should also provide appropriate training for each employee regarding this issue. We’ve already established that existing customers are more likely to spend more, but what you should also know about returning customers is that they spend 67% more money than new ones. This means that, even if you were to make a sizable investment into a loyalty program which rewards regular customers, your revenue would still improve significantly. For instance, you could provide your repeat customers with limited-time offers, coupons, or invite them to a loyalty or referral program. Not only does this encourage them to make additional purchases, but it will also make them feel more valued as customers. Customer relations, like all other relations, need to be nurtured constantly if you want them to grow. In other words, you need to keep in touch with your customers, whether it’s by sending them holiday cards, birthday tweets, newsletter with updates about your products and services, or the occasional email to share how much you value their loyalty and trust. If you are not in the minds of your customers, they will be more likely to go somewhere else. If you want to learn how to keep in touch with customers using Daylite, register for the Manage & Build Relationships using Daylite Webinar. The key to success of your business is not the quality of your product or service. It is how well you treat your customers. Knowing your target audience’s needs and managing a good relationship might take time, effort, and money, but it’s the best investment you can make.